Sixteen years ago today we lost Brian Hildebrand aka Mark Curtis to cancer. It just does not seem possible that it has been that long. Below is a tribute I wrote in my first book "Do Ya Wanna Be A Wrestler, Kid?" about Brian. I"m sharing it today so you can see what a special person he was. His picture along with several others who I knew hang in my office I see them every day. 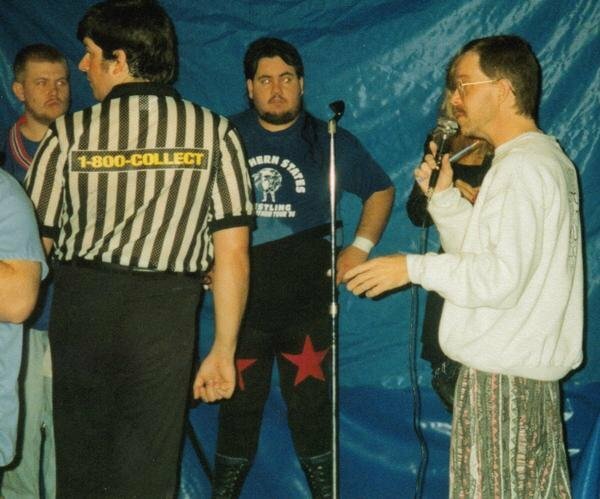 Brian was a wrestling historian, great in the ring as a wrestler or ref, and he was a great friend. The death that I have the hardest time dealing with is one that I knew was coming, one that we were trying to prepare for. But the truth is, you can‟t prepare for death. 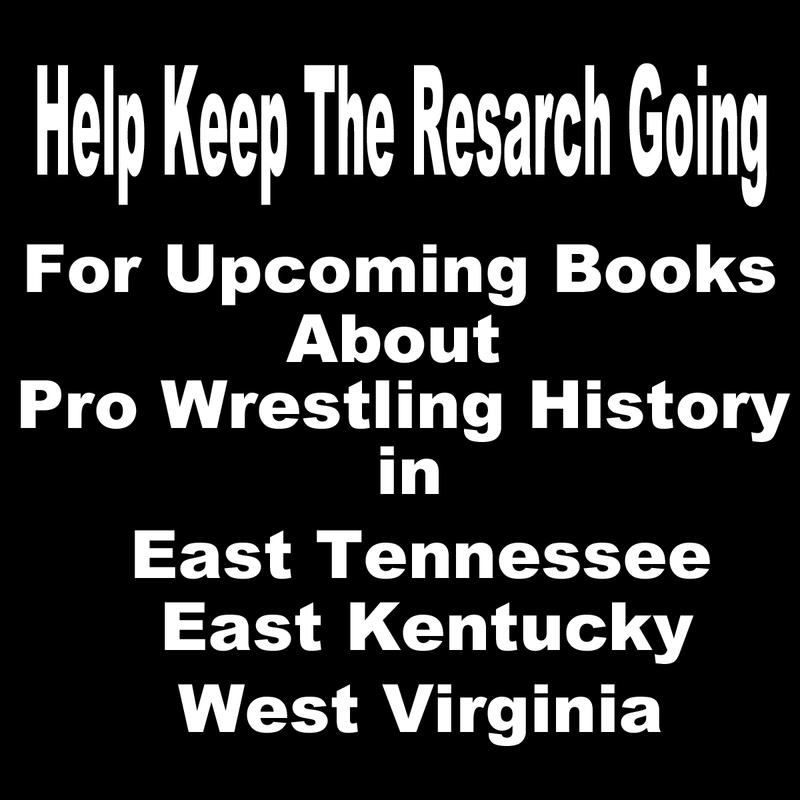 In 1991, famed wrestling manager and historian Jim Cornette moved to East Tennessee and opened up a territory called Smoky Mountain Wrestling. Cornette, like every other wrestling booker, brought in his guys. 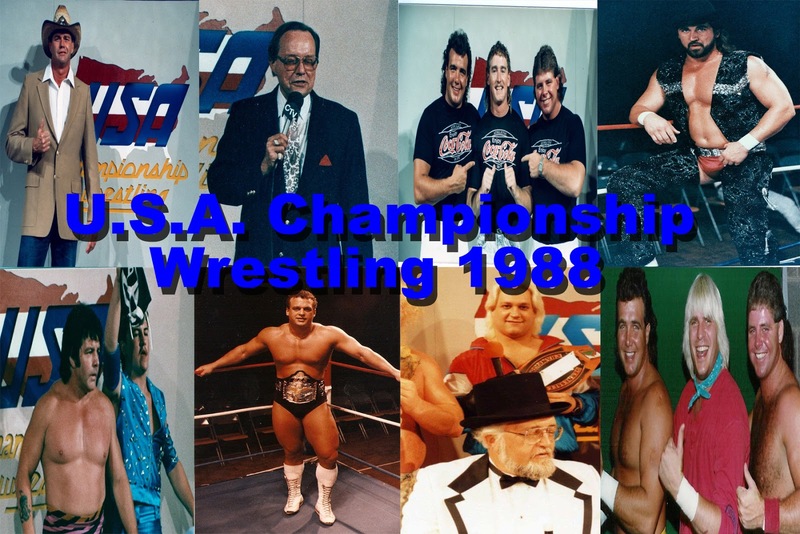 He had a great crew of wrestlers, all of whom had history here in this area. When I first saw his TV program, I knew everyone except the referee, a long-time friend of Jim‟s by the name of Brian Curtis Hildebrand, better know by his professional name, Mark Curtis. Brian was from Pittsburgh, Pennsylvania. He got his start in wrestling as a photographer for the wrestling magazines, but he always wanted to be in the ring. Hildebrand started out as a manager in 1984 in the independents in the Northeast United States. He was a heel manager, and he managed Cactus Jack at one time as an evil Jewish character named Hymie P. Weiss. In 1986, he began training at Dominic DeNucci‟s wrestling school in Freedom, Pennsylvania. In late 1991, Brian moved to Morristown, Tennessee. He did just about every job you can imagine for SMW. He and his girlfriend Pam ran the merchandise, he helped with publicity, and he picked guys up at the airport and drove them around. He did whatever was needed, and even from time to time wrestled on house shows as Kowabunga The Ninja Turtle. I briefly met him at a Telethon for a local children‟s hospital in Kingsport in May of 1995. 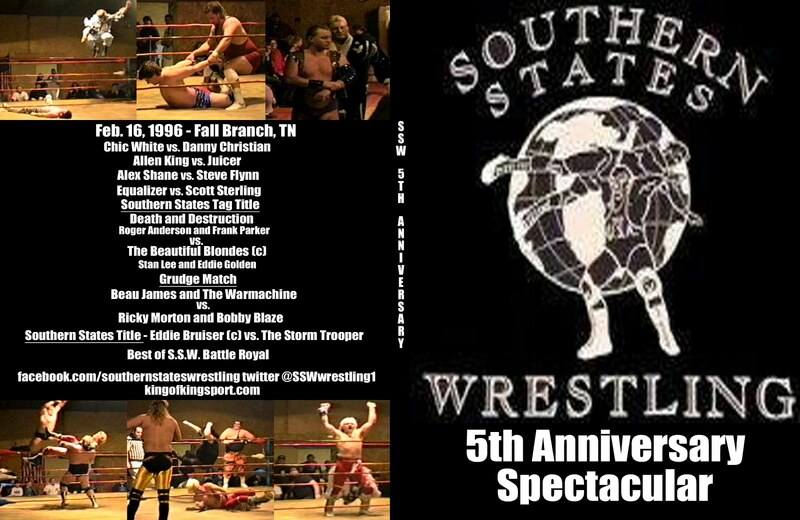 A few weeks later, I was working a few shots for the Memphis territory USWA, and Brian was in there wrestling and managing as they were doing a SMW vs. USWA feud. I was around him for a few days and we got to talking. In July, the girlfriends of Ricky Morton and Tracy Smothers got into a fight at a Kingsport bar. The fight made the newspapers. Ricky‟s girlfriend had a bad eye injury and she pressed charges on Tracy‟s girl. It was a mess. As a result, Ricky was fired/quit SMW and USWA. As soon as I got the word, I called Ricky and he came to work for me weekly at Fall Branch and to book SSW. I went out and booked other towns all around here. Ricky was right on TV and was now on my events. It helped me, and we both were making money. Thanksgiving night of 1995, Ricky made a surprise return to Smoky Mountain. I drove him down and helped sneak him into the building. As I was standing the back of the Knoxville Coliseum, Brian came over and talked to me about how my events were doing and this and that. He said, “Hey, I‟m going to come check out one of your events in a couple of weeks.” I said, “OK,” thinking nothing of it. That Sunday night, I was sitting home watching TV when Ricky called and told me that SMW had closed. Jim had shut the promotion down and was going to the WWF fulltime. Ricky said I needed to book everyone I could from SMW before they moved, and I did. 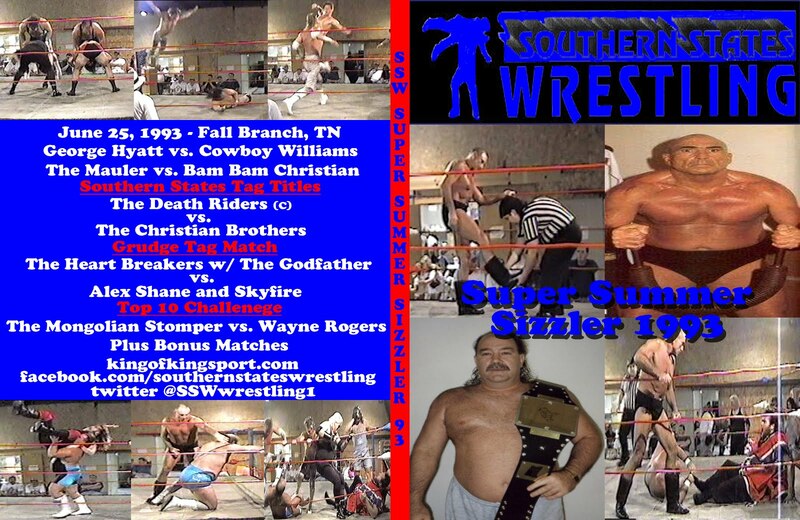 My regular Friday night wrestling in Fall Branch was doing good business. One Friday night, I looked up and there was Brian. I took him in my office, we talked, and he went to work for me the next week. Ricky and I had a wrestling school in my building on Tuesday nights. We had 5 or 6 students coming and paying every week. Brian started coming every Tuesday helping us. He did everything he could to help me, and for a lot less than SMW was paying him. He did it because he loved wrestling. The following Monday, there he was on worldwide TV reffing matches on WCW Nitro. Nitro at the time was the number-one-rated program on cable TV. Brian got back Wednesday and called to see if I had watched. I told him that I had and was so happy for him. He said he had a booking sheet with all his dates and asked for mine. I said, “Come on! Are you serious? Why would you want to do my towns when you can be home taking it easy?” He said, “Because I love wrestling.” And I could identify with that. For the next year, Brian would call me when he was home and let me know when he could be at my events. He would ref, wrestle, manage or whatever I asked him. He never asked me for a raise, and never said no to anything I asked. Brian and I got real close. He came to my home and I went to his often. I was at his wedding. Both of us had large collections of wrestling videos, programs, magazines, and everything else wrestling. We would trade and talk wrestling all day. In October of 1997, I had planned to go to Memphis to visit my sister and her family and go to USWA TV to talk to Randy Hales about a job. I asked Brian if he could be in charge of the matches in SSW that week. 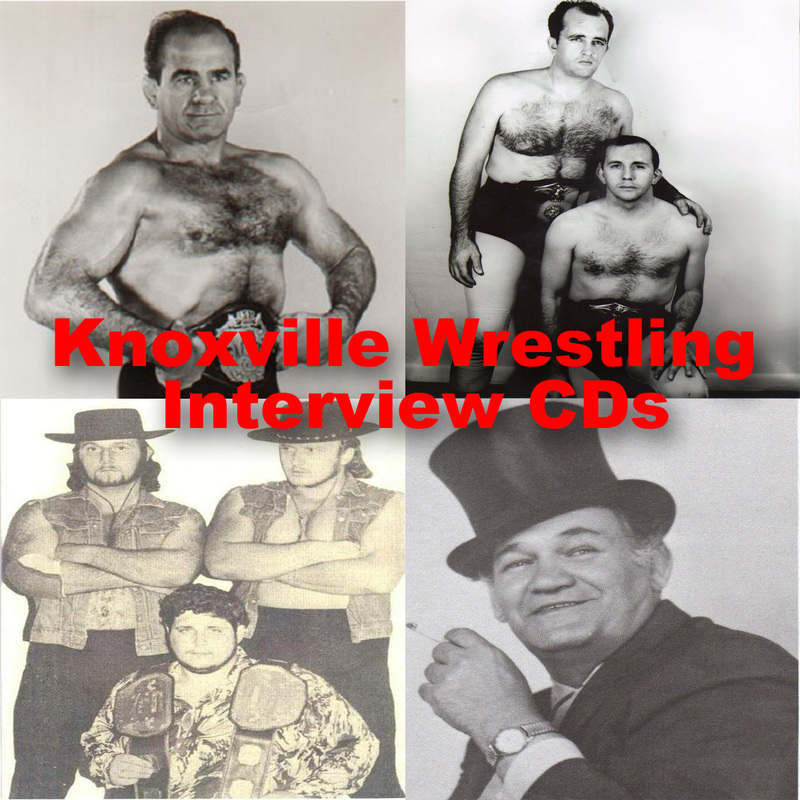 He said, “Well, I need to talk to you about that.” I asked if he was going to be with WCW, and he told me, “No, I‟m doing TV Monday then coming home Tuesday and having surgery Wednesday.” I asked what was going on, and he said they were going to take care of an ulcer. “It‟s killing me. I have heartburn and can‟t eat.” I asked how long he would be in the hospital, and he said it would be an overnight stay, two days at the latest. I told him I would call him Friday. He told me that he had had a much more serious surgery than they had originally planned. When they went in to look at the ulcer, they discovered that he had cancer in his stomach. He started telling me what all they had taken out, and how he had no idea how bad it was. He told me he was going back to the doctor in a few days, and I let him know I would be there to see him in a few days. The following Friday night, we were at the Sampson Center and right about bell time, I looked up and there stood Brian. I took him to my office and we had a long talk. When I asked why he came, he said it was because he needed something to do. “I have to get my mind off of all this,” he said. I reached down on my desk and handed him the book and pencil. I said “You‟re the boss.” Brian took over as the booker in November 1997 for SSW. I gave him free rein to do whatever he wanted with the crew I had. He went right to work, laying out matches, helping young guys and getting ring music together. He was doing everything outside the ring that needed to be done. I called and told Brian I was leaving in April, if not before. He told me he had had a checkup and things were looking good; if he gained 15 pounds back, they were going to clear him to go back to WCW, but he had to have regular checkups and take meds. Brian went back to WCW in March. 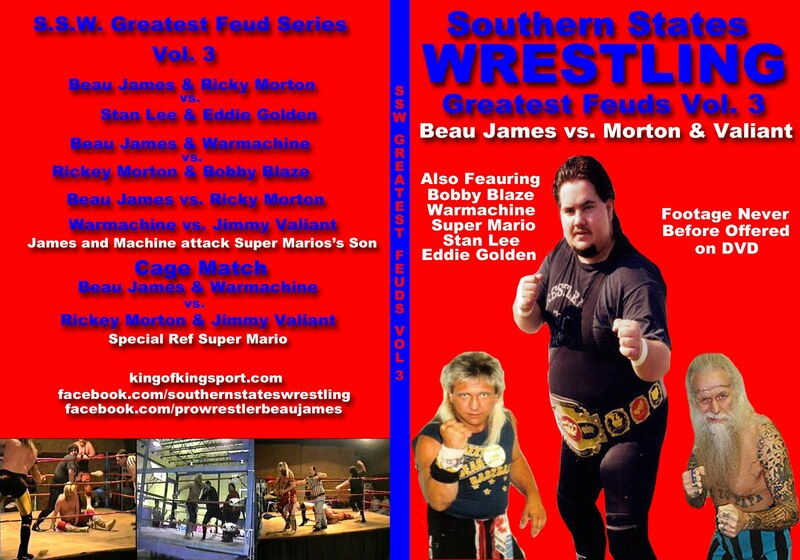 On April 16, 1998, I wrestled my long-time rival and most hated opponent, SSW‟s number one fan favorite, Ricky Harrison, in a Loser Leaves Town Match. Only 3 or 4 guys knew I was leaving. No one other than my Dad and I knew it was the end of the Sampson Center. We had built up to this match for three months. The card was going well. It was a good crowd, and when it was almost time for the match, I looked up and there stood Brian. He had just got off a plane and had driven straight to Fall Branch. He said, “I can‟t miss this.” I just laughed. Ricky Harrison beat me in the match with Brian counting the three count. Everyone was in shock, including the wrestlers. I grabbed the mic and said, “This place will not last two weeks without me!” I went back upstairs and announced to the boys that the next week would be the end of a 6-plus year run. I told them I was heading to Memphis right after the matches that night. I started for Power Pro Wrestling the next day. I stayed in contact with Brian every week by phone. If he was not there, I would talk to Pam and ask her about his health. In May, Pam called me and told me that Brian would be at the WCW event in Memphis the next Sunday, and that he wanted to see me. That Sunday, he got to town early and we went to lunch. We were talking wrestling and seemed to be dancing around the important stuff, so I asked Brian what was going on. He told me, “It‟s back.” I was sick to my stomach. I asked how bad, etc., and he told me did not know. He was finishing up with WCW the next week and then going home for treatment. I called him every week to check on him. He never complained. He never wanted pity or sorrow. I sent him tapes of the Memphis TV shows so he had new stuff to watch. In early November, I made a trip home to check on my Dad, who was very ill himself. As I came up I-81, I stopped to see Brian and Pam. I didn‟t call first because I wanted it to be a surprise. When I knocked on the door, I was surprised when I saw Brian through the window. He was no longer able to eat. He was being fed by a tube and was down to about 90 pounds. He opened the door with a big smile and hug. I wanted to cry. I could not believe what I was seeing. I visited with Brian for about an hour, and then went on to my Dad‟s. My Dad was very ill with a rare heart condition called Wolff-Parkinson-White Syndrome, and was having other troubles they could not pinpoint. So in less than two hours, I had seen my friend and my Dad both in a bad way. I made up my mind that I was coming home. I started calling TV stations in my home area, and only one of them was interested in a wrestling show. It was the local station that had carried USWA. I called them, got a meeting, and got things rolling. Then I went back to Memphis and finished up. By the first of the year, I was back in East Tennessee booking towns and getting ready for TV, and Brian was right beside me. He was helping produce the TV shows, and was even commentating on the matches; he just did not want to be on camera. He came everywhere we went. I told him he did not have to, but he insisted. In March, we were in Big Stone Gap, Virginia. The place was sold out; this was our first big night off of the TV. Everyone was so happy. Brian was sitting in the dressing room where I was. He had made his rounds to the other dressing room, and was as happy as the rest of us. I got up to put on my ring jacket, and told my manager P.J. Sharp something. As I was talking to P.J., he jumped up with his hands out. Over my shoulder, he had seen Brian fall out of his chair. Everyone in our dressing room went to help Brian. We all loved the guy. We got him up and put him in his seat again, and I sent a ref to run and get an EMT. As the EMT came in, Pam came in behind him. I told her what happened and asked her why Brian felt like he had to be at every event. She told me, “It‟s what keeps him going.” The rest of the night our dressing room was very quiet. In May, when it was time for our Legends and Hall of Fame event, I had a special award made for Brian to show appreciation and gratitude for a lifetime of hard work in wrestling and for helping with all of our charity events for the previous five years. My Mom gave him the award right before the Hall of Fame ceremony. It was the last time Brian was on TV. Shane and Cody pulled off something that no one else could ever do, and it was only done because of Brian. They got WCW to let Dean Malenko, Eddie Guerrero, Chris Benoit, Shane Douglas, Billy Kidman, Public Enemy and Hugh Morris wrestle on the card. Beyond the WCW stars, they were also able to get Chris Jericho, Terry Taylor, Jim Cornette, D‟Lo Brown, and Al Snow from WWE, and Chris Candido and Tammy Fytch from ECW. Other guys who knew Brian all through his career, like Tracy Smothers, Tim Horner, Lord Zoltan, Dickie Flanagan and us SSW guys came as well. Even Pittsburgh wrestling legends Bruno Sammartino and Dominic DeNucci were there. The event was July 30, 1999, at The Rostraver Ice Gardens. Early that morning, Roger Anderson, his wife Cindy and I left our homes in Fall Branch. We picked Frank Parker up on the way and made the seven-hour trip to Pittsburgh. When we got to the hotel and walked in, Brian was the first person we saw. He was in the lobby greeting everyone when they came in. This was his day. In fact, for weeks leading into the event, he had been seemingly doing so much better. This event was giving him life. Everyone worked extra hard in the ring that night. No one wanted to let Brian down. We did not let the fact that a bad storm had knocked out the building‟s AC three hours before the first match stop us. To say it was hot in there would be an understatement. At the end of the night, all the wrestlers got in the ring with Brian. It was a great feeling to see his face so lit up. Everyone left there so happy. Back at the hotel, everyone gathered in the lounge and we were like a big family. The week after the Curtis Goes Home card, I went to see Brian at his home. I saw a huge change in him. I could tell he was not feeling well, but he never complained. In fact, he never told me he was sick. I continued calling him every day, and making a 50-mile trip to see him every couple of days like I had been doing. Each time I left, I felt worse and worse about the situation. I also wondered how Pam could deal with this. They loved each other so much. I used to tell them they were so cute it made me sick. To this day, I can only imagine what was going on in her head the summer of 1999. On September 8, 1999, my friend Brian Curtis Hildebrand's pain ended. He left the sickness of cancer and his troubles behind. I was standing less than six feet away from him. He was only 37 years old. I think of him every day. I loved him like a brother. The next day I went to edit the SSW TV program. I normally do TV days on Tuesday, but I had called my production man David Thompson and announcer Joe Wheeler and made plans to do it on Thursday night. The two were close with Brian and Pam. When I got to the studio, David had all the matches edited and commercials in. We just needed to tape the “on tour” segments with Joe, and David had left a two-minute hole for a tribute to Brian. I brought some videos of Brian to put together. We could not come up with the words. Joe Wheeler was sitting there very quiet, and I asked him, “What do you think?” Joe told David to turn on the microphone, and in one take and with nothing written down he added an emotional, loving voiceover. When Joe finished, he got up and walked out of the studio, and we never saw him again that night. The passing of Brian was hard on all of us who knew him. Wrestlers from all the local independents and the major national promotions were at his funeral. He touched everyone that he ever came in contact with, and even more so the ones that spent the last two years of his life with him. We saw the battle. We saw him on days he should have been in the hospital, but not Brian – he was at the matches. Why? Because he loved wrestling. Years later, I came to realize it was not only wrestling but his SSW family he loved. I think every member of our dressing room was at his funeral, plus my mother and father and nephew Zach. Brian, I know I will see you again. We will talk wrestling and trade our wrestling memorabilia, but until then, wrestle in peace, my brother.